Iria is the story of a girl and the Alien being she loves to hate. The series begins with her brother, Gren, taking a job. He is a bounty hunter, and one well known for his incredible skill. Iria, being a skilled apprentice bounty hunter herself, tags along. What is the job, one might ask. It is to find out what has happened to the crew and cargo of a Space Station. Needless to say, nothing is as it seems, and the war between Iria and Zeiram begins in earnest. Watch Iria: Zeiram The Animation Episodes Online at Animegg.org. 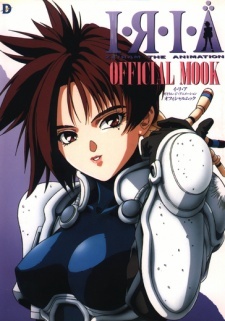 Iria: Zeiram The Animation is available in High Definition only through Animegg.org. Choose an episode below and start watching Iria: Zeiram The Animation in Subbed & Dubbed HD now.